How does one write fiction about a specific culture or tradition? How does one write a short story or heck, even novels based on or set in a specific culture or tradition? When I was invited by writer, academician and cultural activist Lee Su Kim to her latest book launch of Manek Mischiefs: Of Patriarchs, Playboys and Paramours at the recently held George Town Literary Festival 2017, I immediately knew that there was nothing more fulfilling than getting an interview with someone who knows her stuff. Perhaps it is bias of me to interview Su Kim simply because she is my favourite Malaysian writer ever since I read her book A Nyonya in Texas, but there is a solid reason as to why I think this interview was vital – I wanted to know how she weaves stories about a specific community to a larger audience. See, Su Kim is an established well-known local author who specialises in writing fiction set in the Peranakan culture. She is famous even among my circle of friends who rarely find a good reason in reading books. It is not hard to visualise the characters and scenes in Su Kim’s short stories. Her eye for detail, sense of humour and witty use of sentences often leave the readers, even to those who are not from the Peranakan background, a better glimpse in the Peranakan culture. As an aspiring local writer myself, getting an insight on the do’s and don’ts and some tips for writing from a local writer of such niche certainly helps. From Kebaya Tales to Sarong Secrets and now, Manek Mischiefs: Of Patriarchs, Playboys and Paramours, how do you deal with the representation of Chinese Peranakan in your trilogy? 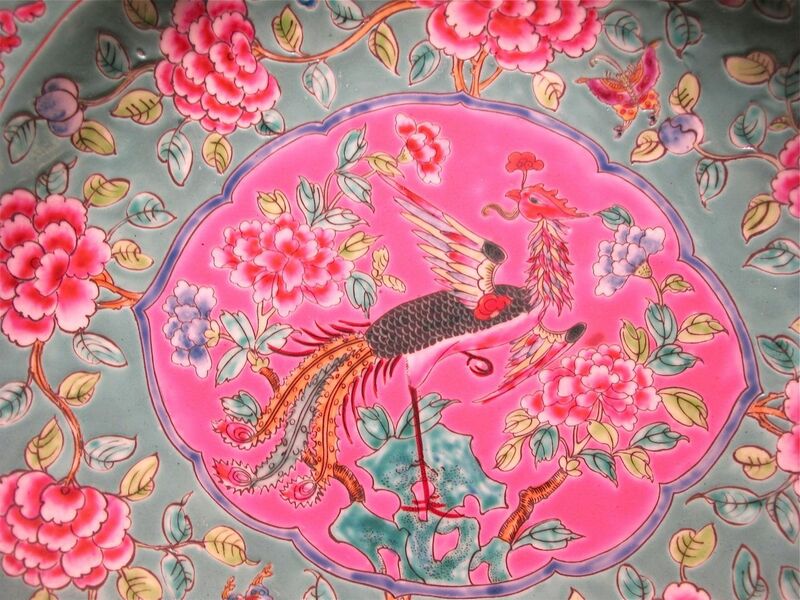 The Chinese Peranakan culture is a distinctive and unique culture with its share of eccentric personalities, rich array of traditions, rituals and beliefs – an unusual convergence of Chinese, Malay, Southeast Asian, Indian and European cultural influences. I am a sixth generation Kuala Lumpur nyonya and I grew up in a Peranakan household and an extended family setting. My father was from a Malaccan baba family and my mother a nyonya from Penang. My family observed the traditional rituals, celebrated the festivals, honoured our ancestors, cooked fabulous feasts thus I grew with an insider knowledge of the smells, sounds, aromas, flavours, noises and cadences well as the belief systems of a traditional baba nyonya household. I think that helped me a lot – being very much an insider in the culture, exposed (me) to the many colourful characters in the clan and the multitude of languages spoken. Some believe that a good story comes with a twist, but for some, it is not necessary. What is your opinion on this? I feel a twist at the end or a cliff hanger is a powerful way to end a short story. The short story writer does not have the luxury of length to detail all the happenings and the sequential flow of events. Thus, the writer should go for impact – to make his/her reader gasp or reel at the twist, or ponder or reflect at the end of your story as to what he/she thinks would take place. For example, the twist at the end of my short story, ‘The Bride who Refuses to Strip’ in Manek Mischiefs comes as quite a shock and leaves the reader trying hard to imagine what would transpire next. Leaving the reader yearning, wanting more is a good way to end a short story. Are there any aspects that one should pay attention to when writing a cultural story? Careful research and being as accurate as possible are important. When fictionalising, it is fine to let your imagination soar, but when you are trying to represent a culture or describing cultural rites and rituals, it’s important to strive for accuracy as well as exercise cultural sensitivity. Tenses could be one frustrating factor when writing a short story. How do you decide on whether one should use the present tense or the past tense in the story? The present tense can be an effective tool when you want immediacy, when you want the reader to feel as if he is right there with you as the event unfolds. The short story ‘The Kueh Brothers’ in Manek Mischiefs for example is written in the present tense. It’s narrated by a ten-year-old boy on his experiences and misadventures helping his mother sell her nyonya kueh during the Japanese Occupation of Malaya. Extract from ‘The Kueh Brothers’, in ‘Manek Mischiefs: Of Patriarchs, Playboys and Paramours’ by Lee Su Kim, 2017, Marshall Cavendish: Singapore. “Now, in her late sixties, she (Molek Ee) looks like a bride in waiting, face powdered white, lips gaudy red, all dressed up but nowhere to go. ‘Pssssst, Mutton-dressed-as-Lamb coming!’ Orr Kow mutters when she enters the room, dressed up in weird outfits every time. Bersak Chee suppresses giggles while Ah Gow Chee frowns at him. Molek Ee, haughty, snobbish, can’t get along with the others especially Pek Nya Chee who can’t stand her patronizing ways. They glare and joo ling each other and squabble all the time. ‘Siau cha bor kui !’ Pek Nya Chee calls Molek Ee. I was told it means ‘mad she-devil’. ‘Uncouth bumbling country bumpkin!’ Molek Ee calls Pek Nya. You have now completed a trilogy of Peranakan short stories. What’s your next move? 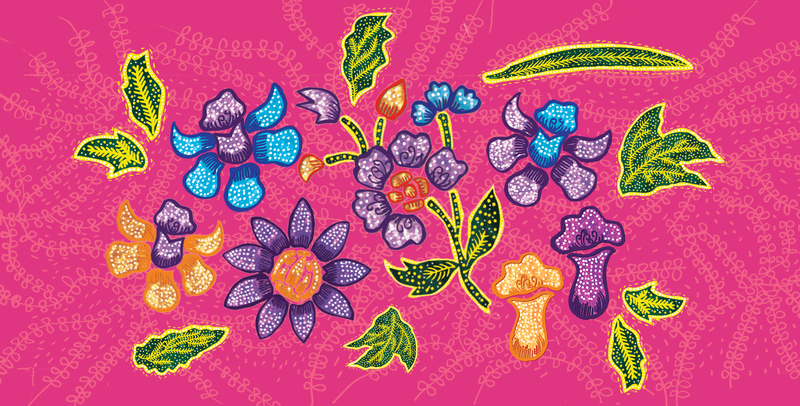 Are you planning to continue focusing on the Peranakan as your subject matter? I’d like to try another genre – perhaps a play or a drama script. There are many possibilities and I haven’t quite decided yet. For now it’s great to take a break and indulge in reading books I’ve been meaning to read but didn’t have the time. I may explore more universal themes and culturally different perspectives. What are some of the books that you will recommend to emerging writers in Malaysia? Rehman Rashid’s A Malaysian Journey, Tash Aw’s Harmony Silk Factory, Tan Twan Eng’s The Garden of Evening Mists and my own book on the quirks and idiosyncrasies, the joy and angst of being Malaysian in Malaysian Flavours: Insights into Things Malaysian. Of course, there is no end in reading and read as many books as possible by Malaysian writers and even cartoons by Lat to get a feel of the colourful complexity of our country and how to write about the complex settings here in a multilingual, multicultural country if you wish to set your story here. As for writings from beyond our shores, there are just so many but I’d recommend Arundhati Roy’s The God of Small Things, Aravind Adiga’s The White Tiger (both Booker Prize winners), Viet Thanh Nguyen’s The Sympathizer (Pulitzer Prize winner 2016), Amy Tan’s The Joy Luck Club, and even Jane Austen’s Pride and Prejudice for her excellent attention to minutiae. A Peranakan Hipwrap Sarong. Image sourced. What is your general advice for budding Malaysian writers? Don’t give up. Persist, be disciplined and believe in yourself. The first draft and the many drafts after are usually terrible, you’ll feel hopeless, disgusted with yourself, and that it’s an impossible task. But keep on at it. Rewriting, revising and reworking have to take place – there are no short cuts. Take a complete break for a while, then return to your draft and rework it. Write from your heart, be true to yourself. Do not try to write like someone else, it has to be you, uniquely you. Get someone to read your work, bounce your ideas off a friend, find someone to be a sounding board to critique your work. You do not have to take on everything he/she says but the comments will be useful as often when you write, it’s a solitary process and you can get lost or become too ‘inside’ the story. Put yourself in the reader’s shoes. Lee Su Kim’s Manek Mischiefs: Of Patriarchs, Playboys and Paramours is available for purchase here. Follow Su Kim via her website! What are your thoughts about her tips on writing? Do share in the comments below or drop us an email at editors@eksentrika.com! Peter is a PhD student, part-time lecturer, campus leader (recently just graduated from this position) and an amateur writer. He thinks he could have graduated this year if he invests the same amount of energy into his thesis writing rather than writing for news and short stories. And he wants to get married with someone who shares the same love towards the marvel of words. Your Guide to Must Follow Malaysian Art Festivals!